We are the top Broker of Health Care Related businesses in the Upper Midwest. We have facilitated the successful sale of over 15 locations in the past year alone! 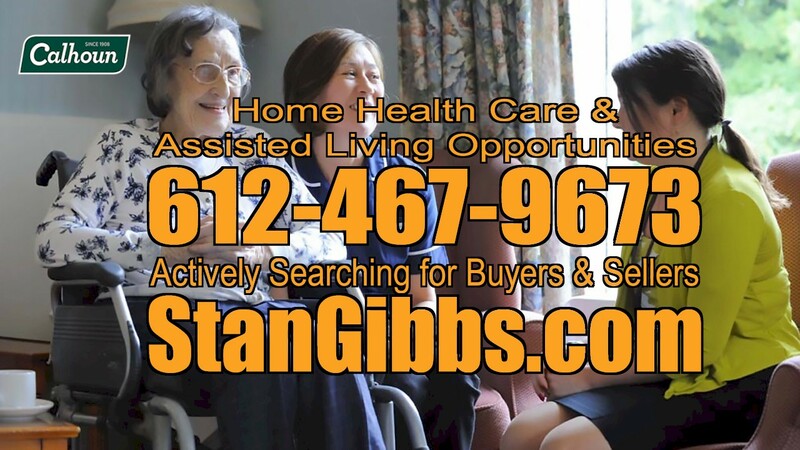 As a matter of fact we recently sold and Assisted Living/Group Home with multiple Locations. If you have questions on buying or selling your Health Care related business contact us right away. We can help you and we are always available for free business evaluation of your business. We have requests for home health care businesses from large to small. Even if your business has no revenue your business has value! Call 612-467-9673 now for more information.